Once the go-to store for radio amateurs, electronics tinkerers, and shortwave listeners, RadioShack has filed for Chapter 11 bankruptcy for the second time in 2 years, placing the future of its remaining stores in jeopardy. The 1,743 retail outlets that survived RadioShack's 2015 bankruptcy were acquired by General Wireless Inc., an affiliate of Standard General LP, which, at the time, received US Bankruptcy Court approval to acquire the inventory and assume the leases of the RadioShack stores. Now down to 1,500 stores, RadioShack once boasted more than 5,000 stores nationwide. At least some of RadioShack's 5,900 employees could be affected. That figure is down from 7,500 workers 2 years ago. "RadioShack.com, stores, and dealer locations across the country are still currently open for business and serving customers," the company said in a news release. "The Company is closing approximately 200 stores and evaluating options on the remaining 1,300. The Company and its advisors are currently exploring all available strategic alternatives to maximize value for creditors, including the possibility of keeping stores open on an ongoing basis." The acquisition by General Wireless followed a bankruptcy auction in 2015. Plans at the time called for "co-branding" about 1,440 of the surviving stores with cellular phone provider Sprint Corp. RadioShack also has closed more stores and slashed operating expenses by more than 20%, but it wasn't enough. The company cited "surprisingly poor" mobile phone sales as a factor. Chapter 11 gives RadioShack another opportunity to restructure and stay in business. The retailer joins other brick-and-mortar stores forced to shutter outlets in the face of declining sales and fiscal losses, with electronics stores especially hard hit. Dating its founding to 1921, RadioShack once offered a considerable array of name-brand Amateur Radio equipment -- even beams and towers -- along with home entertainment gear and discrete components -- including transistors, resistors, and capacitors. Its iconic 1960s-era catalog ran to more than 300 pages. In later years, it sold a fairly popular 2 meter handheld transceiver for a time, as well as Citizens Band equipment, 10-meter single-banders, and shortwave receivers. RadioShack's website is announcing a clearance sale, with some items steeply discounted. "RadioShack did more to spread the early technology culture in the US than any other commercial institution," ARRL CEO Tom Gallagher, NY2RF, observed. "Its catalog was the Boys' Life of electronics." 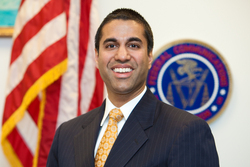 New FCC Chairman Ajit Pai, just nominated for a second 5-year term on the FCC by President Donald Trump, is declaring success in the initial phase of his pilot program to increase the transparency of the rule-making process. Pai announced the program in early February. It will, for the first time, make public the full text of documents circulated to the rest of the Commission for a vote at FCC open meetings. Under prior practice, such documents would have been kept under wraps until after the Commission voted on them. "I'm pleased to report that the initial stage of the pilot project was a success!" Pai said in a March 2 blog post. "We received overwhelmingly positive feedback from the public." As a result, he continued, the FCC would expand its pilot project by releasing the text of all six issues that the FCC will consider at its March 23 open meeting. "Allowing anyone, anywhere to see these documents publicly is another step towards shedding more sunlight on the FCC's operations," Pai added. 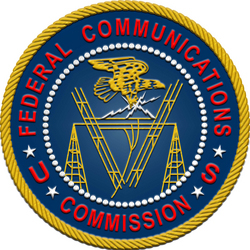 Commenting on FCC process reform in 2014, ARRL said, "The Commission's decision-making process must not only be fair, it must be perceived as fair." While no Amateur Radio issues are up for consideration at this month's open meeting, the FCC will address a proposal to combat robocalls -- the top source of consumer complaints to the FCC. Pai's first FCC term officially ended last June, but FCC rules allow him to stay until the end of 2017, even if he isn't confirmed by the Senate for another term. The president named Pai as chairman earlier this year, an appointment that did not require Senate confirmation because he was a sitting Commissioner. Read more. A three-way race has shaped up in a special election to fill the ARRL Southwestern Division Vice Director's chair. The candidates are Edward J. "Ned" Stearns, AA7A, of Scottsdale, Arizona, who briefly served in the position more than 10 years ago; Lawrence "Grant" Hays, WB6OTS, of Sierra Vista, Arizona, and Frank Westphal, K6FW, of Chino, California. The ARRL Board Ethics and Elections Committee has reviewed the petitions received for all three candidates and certified them as eligible to run. 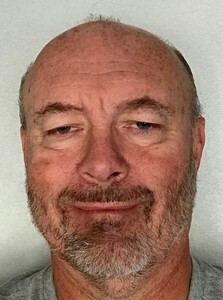 According to his candidate statement, Hays, an ARRL Life Member and a licensee for more than 50 years, has been active in the Amateur Radio Emergency Service (ARES), the National Traffic System (NTS), and the Radio Amateur Civil Emergency Service (RACES), as well as in Army MARS. He is a veteran CW, voice, and digital traffic handler and served as NTS Pacific Area Staff RN12 net manager and digital hub. He has taught licensing classes and is a Volunteer Examiner. Stearns, a radio amateur for nearly 54 years, said in his candidate statement that he is a recently retired RF systems engineer who credits his Amateur Radio background for his career success. Stearns said he considers ARRL the best hope to maintain the Amateur Radio Service and access to its spectrum. 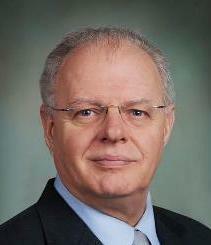 He served as Southwestern Division Vice Director in 2005-2006. Since then, he has given talks and demonstrations about Amateur Radio to clubs and groups. In his candidate statement, Westphal, an ARRL Life Member, said he wants to give something back to Amateur Radio, which started him on his professional career managing the communications division of a public safety agency. 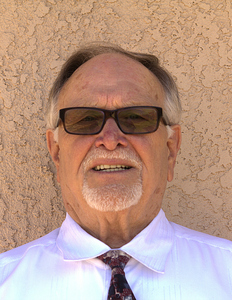 He has been licensed since 1975, and has been active in MARS and RACES. He is a past president of the Tri-County Amateur Radio Association and has been an active Volunteer Examiner since the program began. All ARRL members living in the Southwestern Division as of March 10 may vote and will receive ballots in the mail. Ballots will be go out to members by April 1 and are due back at noon (ET) on May 19 and will be counted that day at ARRL Headquarters. The successful candidate would succeed Marty Woll, N6VI, who decided not to run for another term. Uruguay and Hong Kong join the list of countries that have established new bands in the vicinity of 5 MHz. The Final Acts of World Radiocommunication Conference 2015 (WRC-15) provided for a secondary international allocation of 5,351.5 to 5,366.5 kHz to the Amateur Service. Holders of the General class license in Uruguay may operate with 15 W EIRP, while Superior licensees may operate with 25 W EIRP. In Hong Kong, telecommunications authority OFCA has allocated 5,351.5-5,366.5 kHz to the Amateur Radio Service on a secondary basis. The maximum power permitted is 15 W EIRP. All 60-meter allocations are on a secondary basis. 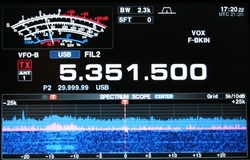 While US radio amateurs have access to five discrete 60-meter channels, they do not yet have access to a contiguous band in that part of the spectrum. Comments are due on March 20 on ARRL's January 12 Petition for Rule Making to allocate a new, secondary amateur band at 5 MHz, while keeping four of the current five 60-meter channels -- one would be within the new band -- as well as the current operating rules, including the 100 W PEP effective radiated power (ERP) limit. The federal government is the primary user of the 5 MHz spectrum in the US. The FCC has designated the League's Petition as RM-11785. Interested parties may comment on the League's petition via the FCC Electronic Comment Filing System (ECFS). "CTCSS and DTMF" is the topic of the latest episode of the "ARRL The Doctor is In" podcast. Listen...and learn! If you've never listened to a podcast before, download our beginner's guide. Just ahead on March 16: "Remote Antenna Tuners." Cape Cod National Seashore in Massachusetts has invited organizers of an Amateur Radio special event in April marking the 105th anniversary of the RMS Titanic disaster to set up at its Salt Pond Visitor Center. The Titanic/Marconi Memorial Radio Association of Cape Cod -- W1MGY -- is sponsoring the worldwide commemoration to honor the approximately 1,500 passengers and crew who died when the Titanic -- thought to be unsinkable -- struck an iceberg and sank on its maiden voyage from England to the US. W1MGY operators have permission to operate from the national park for 3 days and 2 nights. Sponsors point out that the 740 Titanic survivors were rescued by the Carpathia as a result of wireless messages sent from Marconi's Wellfleet Station, today preserved within Cape Cod National Seashore as its "Marconi Beach" site. Between April 13 and April 22, the national park will host commemorative events, including the special event, centering on the Titanic disaster and the evolution of wireless communication, culminating in the worldwide International Marconi Day. All Titanic events will be held at the Salt Pond Visitor Center in Eastham. Events are free and open to the public. "We will operate from there on April 13, 14, and 15 until 0527 UTC, the time the Titanic's last radio message was heard by the Virginian. The vessel foundered 20 minutes later," said Barry Hutchinson, KB1TLR -- the new trustee of W1MGY, which itself recalls the Titanic's MGY call sign. 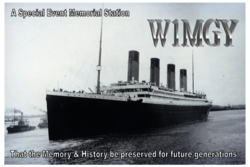 W1MGY, which has been on the air for past Titanic on-the-air events, will transmit a message at the time the ship foundered. For more than a decade, W1MGY special operations have marked Titanic anniversaries. ARRL Lab staffer Mike Gruber, W1MG, became W1MGY's trustee in 2003, and he and others operated Titanic special events in April from the Titanic Museum in Indian Orchard, Massachusetts. Hutchinson said park visitor center staffers have been enthusiastic and very supportive of the event, and he hopes the park will be willing to host future Titanic events. Read more. The Belize Amateur Radio Club (BARC) presented an "Introduction to Amateur Radio" for the Scout Association of Belize on February 26. 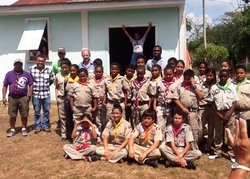 The demonstration, held at the Scouts National Training Grounds, covered BARC´s goals for Amateur Radio in Belize, a video, a hands-on demonstration of radio equipment, and a question-and-answer session. The demonstration represented a first step in cooperation between BARC and the Scout Association of Belize (Scouts Belize). The ARRL Puerto Rico Section and the American Red Cross Puerto Rico Chapter have signed a Memorandum of Understanding (MoU) to offer assistance and emergency communication support, should Red Cross communication systems fail or are disrupted. 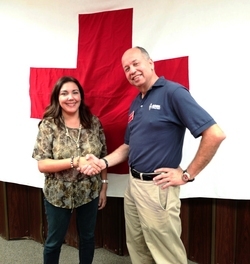 The MoU signing took place on March 3 at the Red Cross offices in San Juan. Red Cross Regional Executive Lee Vanessa Feliciano and Puerto Rico Section Manager Oscar Resto, KP4RF, signed for their respective organizations. "This MoU is based on the one ARRL has at the national level, and it was adapted to our local needs," Resto said. "We are also in communication with various emergency radio clubs to be part of this accord and eventually to build ARES on the island." Resto explained to Feliciano how the section emergency structure works and how communication is provided. Among other provisions, the MoU calls for both organizations to collaborate in training and educational opportunities, as well as pre-disaster planning. The Red Cross in Puerto Rico will also take part in Field Day and the Simulated Emergency Test (SET), as well as other emergency preparedness exercises. On hand for the formal signing for the Puerto Rico Region of the Red Cross were Regional Disaster Officer Ángel Jiménez, Disaster Program Manager Joseph Guzmán, and ARRL Section Emergency Coordinator Juan Sepúlveda, KP3CR, who arranged the signing ceremony. Guzmán acknowledged the service that Amateur Radio has offered in past disasters. "During Hurricane Georges in 1998," he recounted, "the only way we could reach the towns of Jayuya and Utuado -- which were unreachable for a week -- was via 'los capecuatros'" -- "KP4s" in Spanish, the way radio amateurs are known in Puerto Rico. Business news broadcaster Paul H. Kangas, W4LAA, of North Miami Beach, Florida, died on February 28. He was 79. 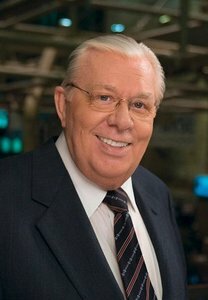 From 1979 until 2009, Kangas was the co-anchor of the popular Nightly Business Report on public television, on which he signed off wishing viewers "the best of good buys." He received an Emmy Award for Lifetime Achievement in Business and Financial Reporting from the National Academy of Television Arts and Sciences. "With his booming voice, easy laughter and quick wit, Paul Kangas was a tremendous asset to Nightly Business Report, right from its inception in 1979," said Linda O'Bryon, who once co-anchored with Kangas. "He helped invent stock market reporting on television." O'Bryon said Kangas, who worked without a script, had an "encyclopedic knowledge of the stock market." 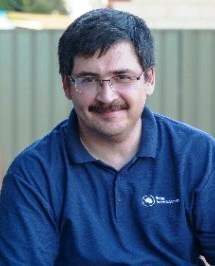 Kangas was among the original members of an informal group that began meeting more than 3 decades ago on 20-meter SSB. 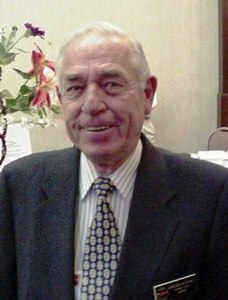 Group member Bill Cate, K5EEF, told ARRL that Kangas was "a favorite with all of us, a great and fun wordsmith, with whom we would play spelling and definition games all the time." A graduate of the University of Michigan and the New York University Stern School of Business, Kangas was a US Coast Guard veteran and former stockbroker who broke into broadcasting as a stock commentator on Miami PBS station WPBT, becoming co-anchor of Nightly Business Report in 1990. Read more. Howard A. Schmidt, W7HAS, of Muskego, Wisconsin -- a global leader in cybersecurity and the first person to hold the post of White House Cybersecurity Coordinator -- died on March 2. An ARRL member, he was 67. Schmidt served both Presidents George W. Bush and Barack Obama as their administrations' top cybersecurity advisor. He also held top security posts at Microsoft and eBay. In 2009, after President Obama named him as White House Cybersecurity Coordinator, Schmidt told ARRL that he credited Amateur Radio with getting involved in technology. "I love technology, and it was Amateur Radio that caused me to build my first computer -- a Sinclair ZX80 -- to use for EME calculations," he said in a 2009 interview. "I studied all about the OSCAR systems and would build equipment to monitor when they would pass within range of Arizona," where he spent his younger years. That, he said, set him on the path to computer crime investigations and computer forensics, which, in turn, led to his career in cybersecurity. First licensed as WB7NUV in the late 1970s, Schmidt was active on VHF and UHF, including packet, and said TAPR was "a real inspiration." By the time he joined the Obama administration, which he left in 2012, he had only recently gotten back into Amateur Radio owing to what he called "an administrative error." Due to a clerical mistake, the FCC had erroneously mailed him an Amateur Extra license, prompting him to buy a full complement of gear. By the time the error was resolved, he said, "I was hooked on Amateur Radio all over again." Schmidt distinguished himself in both the public and private sectors, including more than 26 years of military service with the US Air Force. He was the author of Patrolling Cyberspace: Lessons Learned from a Lifetime in Data Security, and was a contributor to The Black Book on Corporate Security. Read more. Hurricane Watch Net Pioneer Don Kay, K0IND, SK: Hurricane Watch Net (HWN) pioneer Donald J. 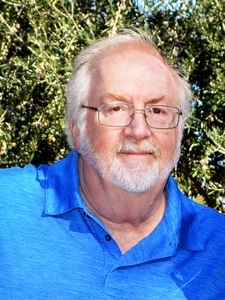 "Don" Kay, K0IND, of Panama City, Florida, died on March 1. He was 89. HWN Manager Bobby Graves, KB5HAV said Kay was a humanitarian who loved Amateur Radio and helping people. All told, he said, Kay served the HWN for more than a half-century. Licensed in the early 1950s while stationed in the military in Colorado, Kay was one of the original members of the HWN in 1965, serving for 23 years as assistant net manager and 4 years as net manager. Kay also designed the HWN logo, and Graves said many consider him an HWN co-founder. In 2013, he was named manager emeritus and continued serving the net as an advisor. A US Naval Academy graduate, Kay served in the military from 1946 until 1977. Read more. 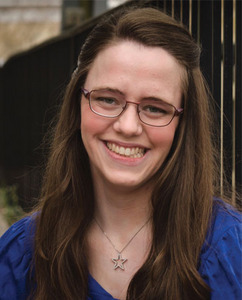 Speaker Announced for SouthWest Ohio DX Association DX Dinner at Dayton: The SouthWest Ohio DX Association (SWODXA) has announced that Ruth Willet, KM4LAO, will keynote its 32nd annual DX Dinner®, held in conjunction with the 2017 Dayton Hamvention®. Her topic will be "Experiencing the Hobby of a Lifetime." A student at Kettering University majoring in mechanical engineering and engineering physics, she was a member of the 2016 Dave Kalter Memorial Youth DX Adventure (YDXA), which operated from the island of Saba in August 2016. The DX Dinner will be held on Friday, May 19, at the Dayton Marriott, 1414 S. Patterson Boulevard, starting with a social hour at 5:30 PM. For more information and to order dinner tickets, visit the SWODXA events web page. Follow SWODXA on Twitter (@SWODXA). 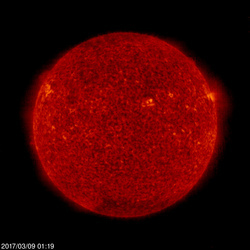 Tad Cook, K7RA, Seattle, reports: For more than 4 days last week -- starting with March 4, we saw a blank Sun. On March 5 the sunspot number was 11, which indicates a single sunspot, and then on March 6-8 the Sun went blank again. So, the average daily sunspot number was just 14.1, a 20-point drop from the previous 7 days. The average daily solar flux decreased by 7 points, from 81.3 to 74.3. Geomagnetic indicators increased, with the average planetary A index rising from 13.1 to 20.9, and the average mid-latitude A index increasing from 8.7 to 15. The predicted solar flux is 71 on March 9-11; 72 on March 12; 73 on March 13-15; 74 and 76 on March 16-17; 78 on March 18-23; 76 on March 24; 75 on March 25-29; 73 on March 30-April 5; 72 on April 6-7; 74 on April 8-12; 76 on April 13, and 78 on April 14-19. The planetary A index outlook shows 8 on March 9; 5 on March 10-14; 8, 10, 15, 10, and 8 on March 15-19; 5, 8, 10, 15, and 8 on March 20-24; 5 on March 25-26; 12, 35, 30, 20, 18, 12, and 8 on March 27-April 2; 5 on April 3-4; 8 on April 5-6, and 5 on April 7-10. Sunspot numbers for March 2 through 8, 2017 were 52, 36, 0, 11, 0, 0, and 0, with a mean of only 14.1. The 10.7-centimeter flux was 79.1, 78, 75.2, 72.8, 72.4, 71.7, and 70.6, with a mean of 74.3. Estimated planetary A indices were 32, 22, 22, 17, 25, 16, and 12, with a mean of 20.9. Estimated mid-latitude A indices were 23, 15, 18, 11, 16, 13, and 9, with a mean of 15.